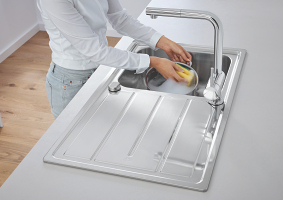 Combine durability with streamlined looks in the K500 series of kitchen sinks. 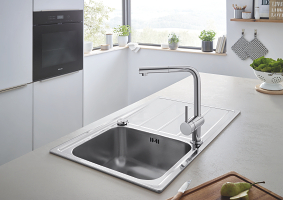 The welded finish makes it a robust choice, and every option is covered with a choice of 1 or 1.5 bowls, drainer and automatic waste fitting. 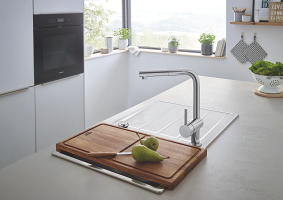 This sink is reversible.